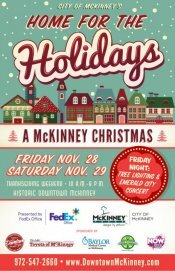 The best way to start your Christmas celebration is in historic downtown McKinney. This weekend features non-stop family activities, entertainment, food galore, a chance to finish your Christmas shopping and much more. A fun, family-friendly event with traditional live Christmas music, food and festivities, traditional costumes, children’s activities, visits with Santa, children's arts and crafts, petting zoo, a unique shopping experience, return of the tubing hill, and much more. Watch faces light up at the tree lighting on Friday, Nov. 28, at 6 p.m.
Get your holiday shopping completed, wrapped and shipped all while staying in downtown McKinney. FedEx will be wrapping, packing and shipping packages from their mobile FedEx truck located in downtown McKinney. How easy is that? No hassle of dealing with traffic and lines. 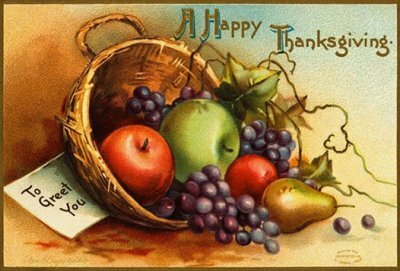 We are thankful for our creative customers. It's always fun to see the projects you are working on and helping you find that perfect fabric for your block or borders. Happiness Is ... Quilting! is turning 8 this weekend! It has been a lot of fun packed, stitched filled years of quilting. We want you to celebrate in our happiness and since it's our party, we can have a Fat Quarter Party if we want too. This Friday and Saturday, Nov. 28-29, buy 8 fat quarters and get 8 fat quarters of the same value free! Buy 8 full price fat quarters, get 8 full price fat quarters free, buy 8 orphan fat quarters, get 8 orphan fat quarters free. Make sure you enter in our drawing for a new PFAFF® Passport™ 2.0 sewing machine - a $699 value! So many of you have come by to see our new PFAFF® machines. Don't be left out. Stop in and see why we love our new PFAFF® machines. Winner of this great machine will be drawn on Saturday, Nov. 29. It could be you!